With this understanding, ECKC tailors each child's learning experience based on their identified needs and goals. We are a star-rated childcare center dedicated to empowering children age 0 to 5 to be successful while providing a safe environment conducive for healthy development and growth. Our team is committed to the success of each child and understand the importance of treating each child as an individual. East Carolina Kiddie College was established in 2010 and has operated successfully as a five star center ever since. Although the center has grown in number, we pride ourselves in maintaining a family oriented atmosphere where we develop relationships with both the parents and the children. 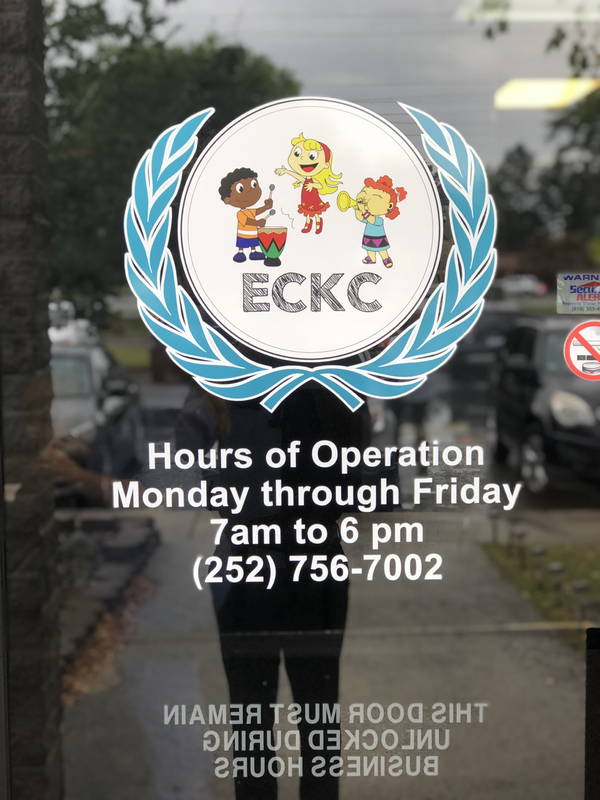 ECKC provides services for children ages 0 to 5 with both typical and atypical needs. ​We have an open door policy that allows parents to stop in to check on their child(ren) or speak with teachers or administrators. Because of our open door policy, we welcome you to come in for a tour of the facility to see if our center is not just a good fit but the best fit for your little one. Feel free to visit the center during normal business hours. We look forward to meeting you and the opportunity to welcome you and your little one(s) into our family!